A few days ago, I officially declared October our month of getting prepared. We’ve spent the last few years becoming financially prepared, but lately we’ve both been feeling like that isn’t enough. I recently read an article on Real Simple that outlines how to stockpile for an emergency, and it has me wanting to quit thinking about it and start doing something. So while all of you are buying Halloween candy, we’ll be stockpiling peanut butter and powdered milk. And if the trick-or-treaters are lucky, they’ll get a scoop of both in their bags. But you better believe I’ll be dressing Sally up and taking her trick-or-treating. Because free candy. But back to emergencies. Neither Johnny nor I are what you would call extremists. We’re actually glass-half-full pragmatists. We don’t believe in conspiracies, we don’t believe the apocalypse is coming, but we do believe that sometimes bad stuff happens (like, maybe, a zombie apocalypse). 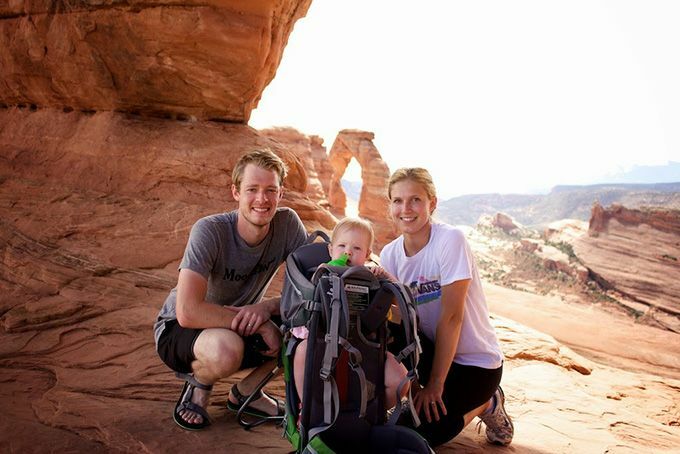 We know firsthand about being laid off from a job, for instance. And now that we have little Sal, we just want to make sure that if for some reason we need an extra supply of food and other resources, we’ll have it. I also plan to get a first aid kit put together, as well as over-the-counter drugs we use regularly, such as Tylenol and ibuprofen, both in child and adult form. Some items, such as toilet paper and soap, I already naturally have in bulk from buying at Costco. And it just so happens that our guilty TV pleasure of choice right now are a bunch of survival reality shows (ahem, Naked and Afraid) that are helping inform us on survival. 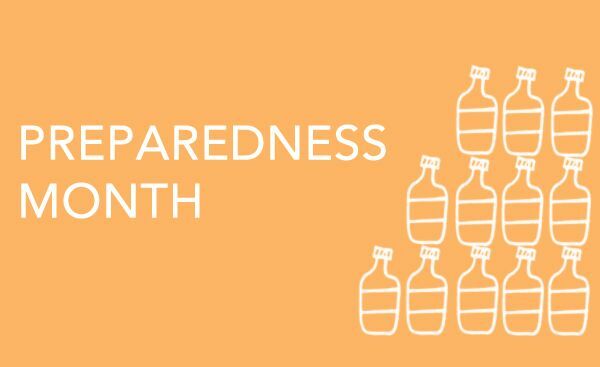 We’ll keep you updated on our preparedness progress throughout the month — what we buy, where we store it in our condo, and how our budget fares in the process. And, of course, we’ll keep a tally of our total spending. What about you? Have you ever considered stocking up and preparing for an emergency? And not to be a Debbie Downer, but it’s not completely coincidental that this post is coming out the day after the first reported case of Ebola in the US. This is something that has been on my mind lately, and I’m finally doing something about it. First order of business is getting together a bit of a food stockpile. I’m going to buy one extra item every time I go grocery shopping, to spread the cost out over multiple trips. I also have a list of stuff I want to buy on Amazon like: solar powered cell phone charger, battery operated radio, first aid kit, and hand pumped water filter. These few items could go a long way in the event of a prolonged power outage (not unheard of in my area). Also Ebola in the US = scary. Sounds like you’ve got a great list of items to buy! This may sound a bit boring, but a few of those items could make great stocking stuffers, if you want an excuse to get them in the near future :). We’re pretty decent on the food front, because of how I normally shop, but I really need to restock the water supply. We ended up using ours during the flooding last year, when we had a boil water. Those are generally a good excuse to use it up to rotate it. I think having a bit of a stockpile and side emergency gear is a good idea for everyone. Having lived on the ring of fire, it’s one of those things that you always think to do but put off. Well, you put that water to good use! I’m not a very extreme person, but it’s true that you never know what tomorrow brings. It doesn’t hurt to be prepared! I’m my neck of the woods, it’s being prepared for a snowpocalypse! We had a ton of snow and a week long power outage due to an ice storm. I’ll be stocking up on things like propane, candles, and batteries. Although my inlaws have a generator, so worst case scenario… I’ll be headed there. Ugh… that sounds awful! Candles are a great idea I hadn’t thought of before. We live in Utah, so a snowpocalypse isn’t out of the question here, either! Interesting, I’ve never really prioritized being prepared for an emergency with a food stockpile. It’s a good idea. We mainly focus on the financial emergency stockpile. It saved us last winter, actually. Our old furnace died during one of the (many) extreme cold spells, and we luckily had enough emergency cash to replace it. 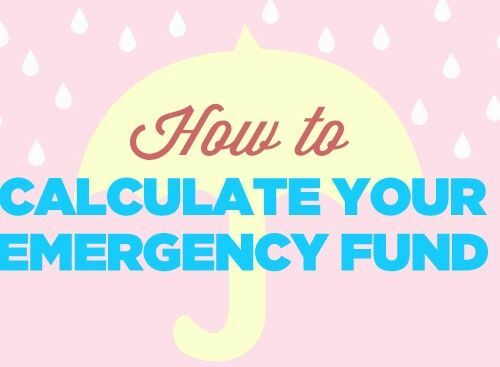 I’m a new reader to your blog so I’m not sure if you have this, but I would definitely recommend a cash emergency stockpile in addition to your food one! Great tip! We keep some cash in our emergency backpack just in case! I definitely don’t have anything prepared for an emergency, but last week, I put a wind-up flashlight/radio combo underneath the sink. So, there’s that. Costco has a pretty wide selection of “Emergency food”. Several times I have almost bought a stock of 60-90 days of food. Then I think about storing it. I think I’m losing it. I guess it is logistics, not cost that keeps us from creating an emergency stockpile of food and water. The zombies will probably get us first. I have always said that if the zombie apocalypse comes, I want to die in the first wave. I have no interest in hanging around living out The Road or something. Did you read that book? Yeesh. That said, my dad works in disaster relief (mostly helping power companies deal with and prepare for hurricanes and earthquakes.) So I do keep extra food and water and basic medical supplies and matches and candles and flashlights and batteries (etc etc etc) on hand. The chance that the power and water will go out for a few days at some point is pretty high. But I figure if society collapses, we probably aren’t going to be able to hang out here in the suburbs anyhow, so I don’t see much point in stockpiling decades of emergency rations. Just more tuna fish for the zombies at that point, right? I started reading The Road, but it was just too bleak for me, ha. I have to stick to mostly happy novels because I’m a wuss. And agreed with everything you said! If things are so bad that we need more than our small supply of food and emergency supplies, the world is in bad shape, indeed. I figure at that point, I’d have driven to may parents’ house in the woods of Alabama anyway! Well… I do have some experience in this department. I went a little bit nuts after hurricane Katrina (hurricanes being such a big problem here in Colorado, don’t you know!) Anyhow, I decided to stock up on canned food etc. It wasn’t entirely a bad idea, but here’s what I learned. 2) Come up with a system to rotate your stock – I fear I decided to store it all in a closet under the stairs that was kinda hard to get to. This meant that when I needed a can of beans I ended up just buying a new one instead of using the ones from the stockpile. BAD idea! 3) Buy in reasonable quantities. Soooo… let’s see…. hurricane Katrina was in 2006 and I still haven’t used up even half of the 25 pound sack of pinto beans that I bought. While they don’t technically “go bad” they do lose most of their vitamins after a few years – plus they no longer get nice and soft when you cook them. I think I may be making bean bags soon! Anyhow, I ended up tossing several big boxes of canned goods because they were either exploding or they were years past their expiration dates. And… the other thing not to do… when creating an emergency kit for the car, somehow I decided that candles would be a good idea. What on earth was I thinking? Well… you know, if the car breaks down in a remote area at night, maybe I’d want a candle? Good lord! Anyhow, candles, ahem, tend to melt when left in a hot car. Seriously, I will NEVER get the blueberry scented wax out of my car. Oh well, at least it smells good! So, in conclusion I say go for it, but don’t be an idiot! Thanks for sharing all your tips! It’s great to hear from someone who’s been there, done that. I’ve been trying to keep what you said in mind as we do our stockpile this month! I like to have enough food, pet food, cleaning and hygiene supplies for two weeks. Honestly, though this is more a financial thing than for true emergencies as much of the food depends on refrigeration or cooking. Smart. I didn’t even think of pet food, poor kitty. And you’re right… stocking up can be great for financial emergencies, too! I should probably do this but I just can’t bring myself to acknowledge the need! Perhaps it’s since I don’t cook really so having all that extra food would seem odd to me, ha! Sounds like a plan, Joanna. Back at the turn of the century, when Y2K drama was rampant (with people not knowing how computer systems would behave), many like us stock piled food (just in case …). Not only did we buy canned and dry goods, candles, etc but we also bought candles, flashlights, a portable radio, and a manual can opener (just in case the power blew). One thing about your plans – be cautious when it comes to stockpiling your emergency meds, especially keeping them past their expiration dates, as their potency and effectiveness might degrade. I remember the hype of Y2K! Even though I was young, I was worried the world as we knew it was going to end as soon as midnight rolled around on New Year’s Eve 1999. Good times, and glad the hype was for nothing! Winter is as unpredictable as they come out here, so that’s a great idea to have a Plan B strategy just in case! Ha, too true. We live in a world full of dumb people who would love to do this country harm… I’ve watched one too many episodes of 60 Minutes as of late. And I agree… we’re sticking with food we’ll eat even if we’re not in an emergency! We put together our earthquake preparedness kit a couple of months ago. Still haven’t sorted out the food quite yet, but we have many other items on hand to get us through a few days without electricity or water. That’s about as far as we’ll probably go with being prepared for emergencies. That’s great! Keeping in mind possible local natural disasters is one of the best ways to focus in on preparedness. It’s great that you’re deciding to store up some food and supplies just in case. To me, that’s just as important as my (slowly growing) financial safety net. I think of savings and emergency supplies as two sides of the same coin. Also, if you are wanting to store some water, but you don’t want the ubiquitous gallon jugs in your pantry, look into Water Bricks. They hold 3.5 gallons each and they fit perfectly under a bed for a nice “out of sight, out of mind” feeling while still allowing you to be ready for anything. For me, water storage is a priority because I live in AZ, both because of the heat and the occasional water treatent issues we have here. I’ll have to look into water bricks for the remainder of our water storage. Those sound like a great idea. And you’re spot on… financial preparedness is only half of it! 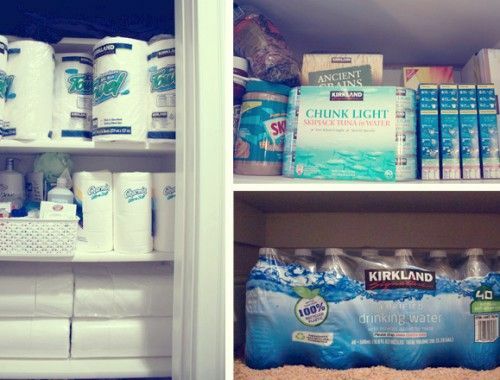 I regularly stockpile: food, personal products, and cleaning items. Without my stockpile I feel very vulnerable (like when I forget to wear my earrings!) I love knowing that I have enough food and hygiene products to last me for quite awhile. Ha! I’m the exact same way with non-food items. I think I have this secret fear of running out of paper towels or something!